The Mil Mi-8 (NATO reporting name "Hip") is a large twin-turbine transport helicopter that can also act as a gunship. The first single-engine (AI-24W) prototype, W-8, flew in 9 July 1961. Second one with two AI-24W engines made its first flight on 17 September 1962. After few changes it was introduced into the Soviet Air Force by 1967 as Mi-8. 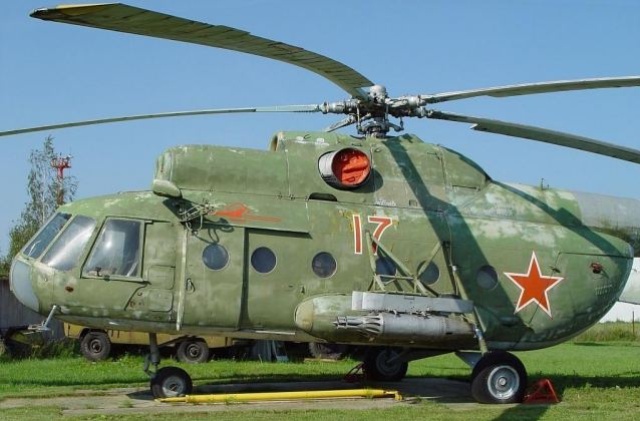 There are numerous variants, including the Mi-8T which in addition to carrying twenty four soldiers is also armed with rockets and anti-tank guided missiles. 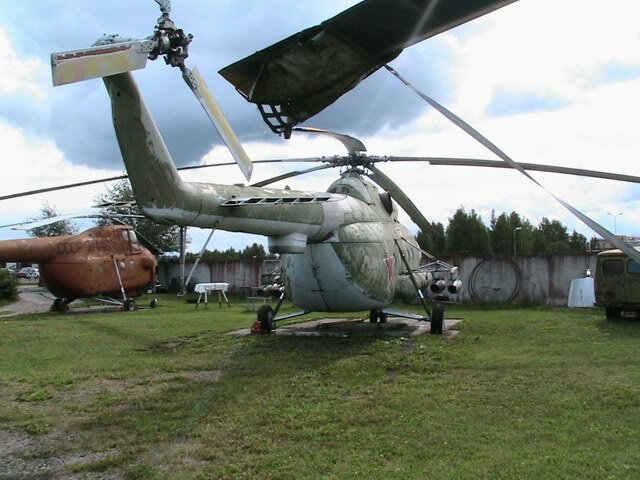 The navalized Mil Mi-14, and attack Mi-24 are derived from the Mi-8.